Gelston Howell, Sanmina Corporation writes about how industry 4.0 is impacting medical device manufacturing. As the pace of innovation accelerates for Class III medical devices, medical OEMs are designing complex products such as pacemakers and other implantables in smaller form factors. In order to manufacture these types of Class III devices in high volumes, OEMs are leveraging the expertise of electronic manufacturing services (EMS) companies for both automation and manufacturing systems that assist with day-to-day regulatory compliance. Consider for example, the challenge of manufacturing 10 million Class III devices a year, with an assembly and test process having 50 steps, using dozens of components, some of which are too small to be handled by a human. Both the devices and the processes must meet regulatory requirements for component traceability and verification, storage and access to device history records (DHR), and process compliance. In addition, with thousands of kits of material required per week, inventory control on the production floor poses additional challenges. With the level of complexity involved in producing a Class III device in these volumes, automated production and advanced manufacturing systems are a necessity. Industry 4.0 technologies — including cloud computing, machine-to-machine communication and cyber-physical systems — are enabling advanced automation that help overcome these production challenges. The increased connectivity and data-gathering provided by these technologies make it possible to build high-volume, regulatory compliant manufacturing processes with efficient inventory and production management. Here are some examples of how industry 4.0 technologies are being deployed to produce and assist with regulatory compliance, for Class III devices in high volumes. Recording a device history record (DHR) for each Class III device is a regulatory requirement. The DHR establishes that the device has been manufactured according to the bill of materials, approved manufacturer list, procedures and instructions in the DMR (Device Master Record). The DHR records component and device part numbers, unique serial numbers, date codes, date of manufacture and the results of any tests or inspections. Not only is it a requirement to record the data, the data must also be retrievable in a timely manner. Scanners located in manufacturing equipment communicate with Manufacturing Execution Systems (MES) in the cloud to ensure that only components specified in the DMR are assembled into products. The scanners upload the part number, serial number, and date code information to an electronic DHR. Machines and scanners record the device’s progress through the manufacturing and test process. Results of optical inspections, pass/fail data, and parameters measured during test processes are uploaded from machines to the cloud MES system. All of this data in the electronic DHR is stored in the cloud MES or sent to the PLM (product lifecycle management) system and can be retrieved with a simple query. This technology and these methods are in production today at a Sanmina factory for high volume class III medical devices, helping ensure day to day regulatory compliance. For a Class III device with 50 process steps, 10-15 will involve inspection, calibration or testing. If the product fails an inspection or a test, it is routed out of the main process flow for diagnosis and possibly rework. Following rework, products are reinserted in-line at the point just before the failure occurred. This practice ensures that each repaired product passes the test it originally failed. Assuming, for this example, 10 million devices manufactured each year (a device produced every 1–2 seconds), the number of permutations of valid process paths that could occur as a result of pass/fail results at 10 test or inspection steps is substantial. In such an environment, it is challenging to confirm that each product is manufactured using the defined process, but industry 4.0 technologies and techniques can help manage that challenge. For example, the defined physical manufacturing and test process flow is replicated using a virtual factory in the cloud MES. Rules are established in the MES system for valid process flows. At every step of the manufacturing process, each product is scanned, and the MES forces it through the defined process flow, ensuring process compliance. Many electronic products are built with storage components such as EEPROMs. These devices store the software programs required to make the product function (firmware), part numbers and serial numbers. In some cases they also store calibration and component data. Part numbers and serial numbers are critical traceability records for the DHR. Calibration requires measurements of analog and digital parameters such as voltage and current to be taken and adjustments made to data stored to ensure that the device will operate within acceptable control limits. Each EEPROM stores both static data including the firmware, part number and serial number as well as dynamic data calculated as a result of calibration procedures. Writing data into an EEPROM takes time. Measuring and calibrating the device takes more time and is a complex mathematical process. Regulatory compliance requires that the static and dynamic data recorded in the EEPROM is also stored in the DHR. The process of selecting the correct firmware, part number and serial number to write into the EEPROM, calibrating the device and recording the calibration data is complex. Producing ten million devices per year means that a device must be completed every one to two seconds. Volume and manufacturing cycle time adds to the technology and regulatory complexity. 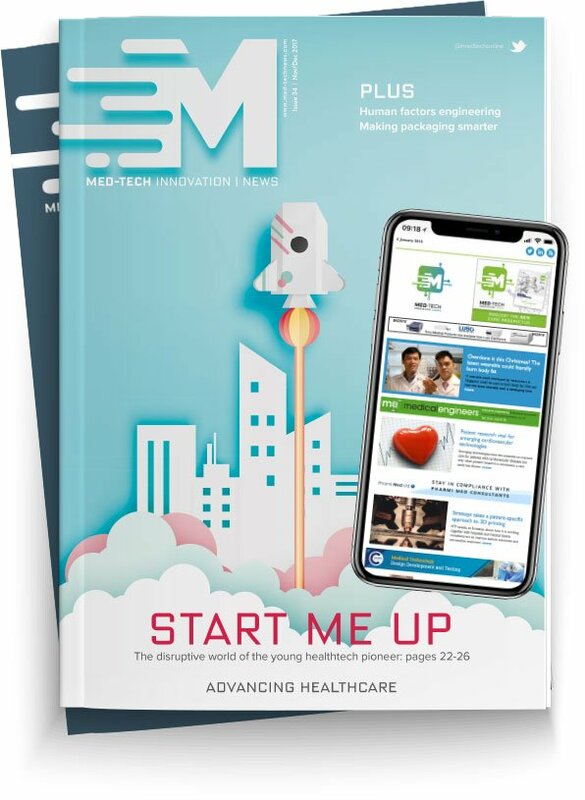 Connecting multiple manufacturing machines and test systems to the cloud based MES enables real time parametric data analytics, calibration and EEPROM programming in a very high volume medical manufacturing environment. On any given day, thousands of parts are transferred from the warehouse and placed on the factory floor in varying quantities. These components must be replenished from the warehouse, increasing component inventory on the production floor. As components are consumed and built into products, inventory is adjusted by reducing component inventory and increasing sub-assemblies or finished products. In the past, managing inventory was manually transacted in an ERP system, such as Oracle or SAP. With the implementation of industry 4.0 technologies and the use of machine-to-cloud communication, inventory management has moved from manual to automatic transactions, enabling real-time inventory control. For example, an automatic optical inspection machine, having determined that an electronic PCBA is correctly assembled, communicates with the ERP system, directing it to consume the individual components and reducing the quantity located on the production floor while increasing the number of PCBAs produced by one. This practice improves inventory accuracy in real-time and makes the process highly efficient. These industry 4.0 technologies, including machine-to-machine communication, automation, and cyber-physical systems integrated to a cloud MES, are being applied to drive efficiencies and automate production. In the case of high-volume Class III medical device manufacturing, these techniques also are providing solutions to the challenges of regulatory compliance to create the DHR, ensure DMR compliance, and solve business problems like inventory management in high-volume manufacturing. Implementation of this vision requires advanced technology; the examples described here required machine-to-machine and machine-to-cloud interoperability among more than 20 different types of machines. It’s a daunting task for a high-volume manufacturing facility to connect dozens of production and test systems to the cloud. Industry 4.0 concepts and cloud technology are now enabling real innovation and the results — in terms of compliance, efficiency, control, and manufacturing precision — are transforming manufacturing operations.